‘Contact Strength’, ‘Max Recruitment’ and ‘Power’ are terms used often by climbers in training, but their actual meanings and inter-relationships can be somewhat ambiguous. As the first in a mult-part series on the subjuect, this post will attempt to clarify these terms and explain precisely what they mean for Performance Climbers. Skeletal muscle is composed of many individual muscle fibers, and they don’t always work in unison. Each muscle in the body is composed of a multitude of individual muscle fibers. When your muscle completes a contraction, not all of these muscle fibers are contributing to that contraction in a useful way. Some fibers may contract at the wrong time, or too slowly to be effective, some may not contract at all. Some of this is accidental, but some is intentional. Individual fibers cannot sustain a contraction over a “long” period of time. Any sustained muscular contraction is achieved by alternating the brief contractions of individual fibers (allowing some to rest while others are working). This has obvious advantages to endurance athletes, but is problemmatic for those seeking to produce the greatest amount of force for a single, short burst of effort. Max Recruitment Training is all about maximizing the amount and effectiveness of muscle fiber contractions for a single effort. This is done in part by increasing the number of active fibers during a contraction. The goal for climbers training Max R is to increase the ability to generate maximum force to execute one ridiculously hard move. 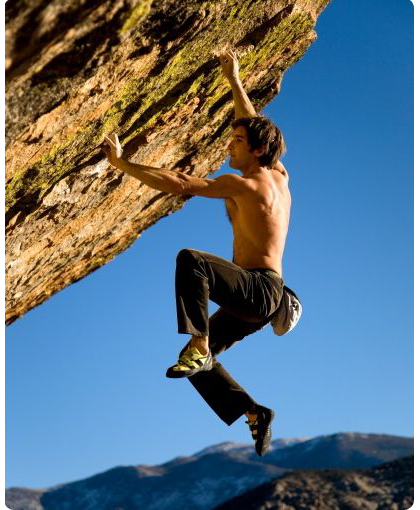 Of course, most of the time ‘ridiculously hard’ moves are atleast somewhat dynamic, which brings us to an oft used (and mis-used) term in performance climbing, “Contact Strength”. Contact Strength: if you can’t generate high force quickly, you won’t be able to ‘stick it’. Contact Strength is a widely confusing term, so let me spell out my definition. When you grasp a hold, your muscles do not exert peak force on the hold immediately. It takes “a while” (on the order of a tenth of a second in some human muscles*) for your muscles to generate maximum force. “Contact strength” is basically the amount of force you can generate during the period of initial contact with the hold. This is critical to climbers executing a dyno, because you need that force to ramp up as quickly as possible, during the brief instant when your fingers are still in contact with the hold you are dynoing for. You’ve probably heard of “fast twitch” and “Slow twitch” muscle fibers, each designed to be more effective in different types of contractions. Slow Twitch fibers are more dense with capillaries, allowing them to sustain areobic activites, but they take about three times as long to contract as “Fast Twitch” fibers. On the flip side, Fast Twitch fibers are unable to sustain long efforts. Fortunately for the “tortoise” climbers out there, some slow twitch fibers can be trained to behave more like fast twitch fibers (trained to contract more quickly). A highly magnified cross cection of muscle tissue showing three muscle fiber types. 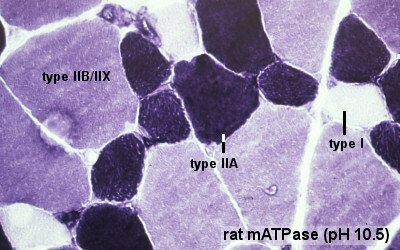 Type 1 are “Slow Twitch” (the most common type), Type IIB or IIX are “Fast Twitch”. Type IIA fibers have attributes of both fast and slow twitch, and can be trained to behave somewhat like either. However, true “max Recruitment” training in the weight-lifting sense doesn’t necessarily train the speed element of a contraction, but rather the maximum generation of force independent of time. A weight lifter looking to max out his deadlift can tug and scream for half a second before the barbell actually lifts off the floor. This can be true of hard climbing moves as well, as in the first hard move pulling off the ground or off a good stance, but in my experience the vast majority of crux moves must be executed dynamically. So climbers need to find a way to train Max Recruitment that also helps to improve contact strength. For this reason, it would probably be more correct to say that climbers can benefit from “Power Training” vice “Max Recruitment”, but since Power is a subset of Max R, both are relevant to climbers, its simply a matter of determining the best use of limit training opportunities. Limit Bouldering: Pretty simple, bouldering right at your limit. The key is to do problems that emphasize one or two REALLY hard moves, rather than problems that entail 6-8 pretty hard moves. Remember, we want a small number of reps at very high intensity. Bouldering at a lower intensity is fun and can have other training benefits, but to get Max R improvements, the moves need to be WAY HARD! To get an additional power training effect, emphasize hard dynamic moves. Way more fun & social than any of the other options! 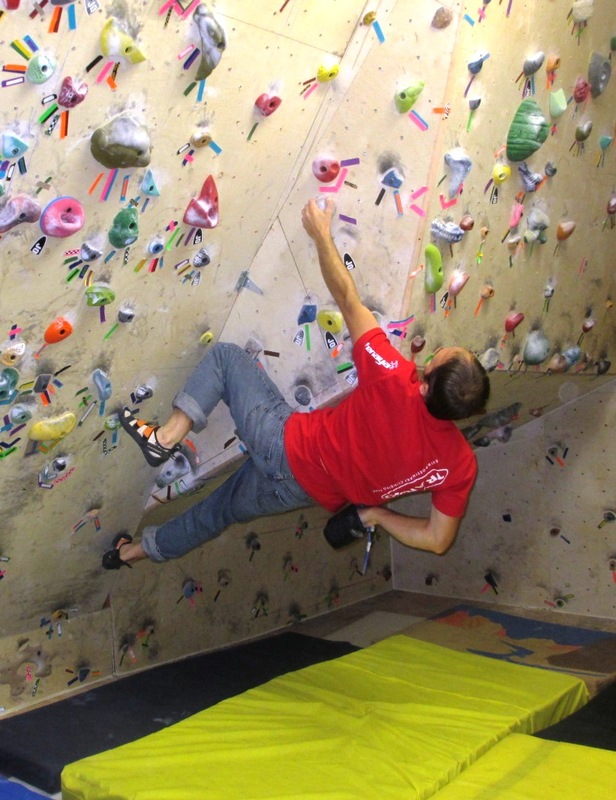 Campus Training: This dynamic style of training involves footless dynos between like holds, and is probably the best method of pure power training available to climbers. Look for some in-depth discussion on this in the coming weeks. Hangboard Training: A hangboard can be used for any type of muscular training, its just a matter of varying the number and duration of reps and sets to achieve the desired goal. Max R training on a hangboard would involve 2-3 sets of 1-3 reps of a short duration (5 seconds or less) for each grip position. What’s my favorite? I’ve never used a hangboard for Max R training, and I have no plans to, but I could see the benefits if you didn’t have access to a good campus board or bouldering facility. Unfortunately the lack of a dynamic element is a significant disadvantage. I think both Limit Bouldering and Campusing have their place, but I favor Limit Bouldering because of the benefits of training movement and the entire body system all at once. In the next few posts I will go into much more detail on Campus training and how it should be integrated with Limit Bouldering into your training plan. 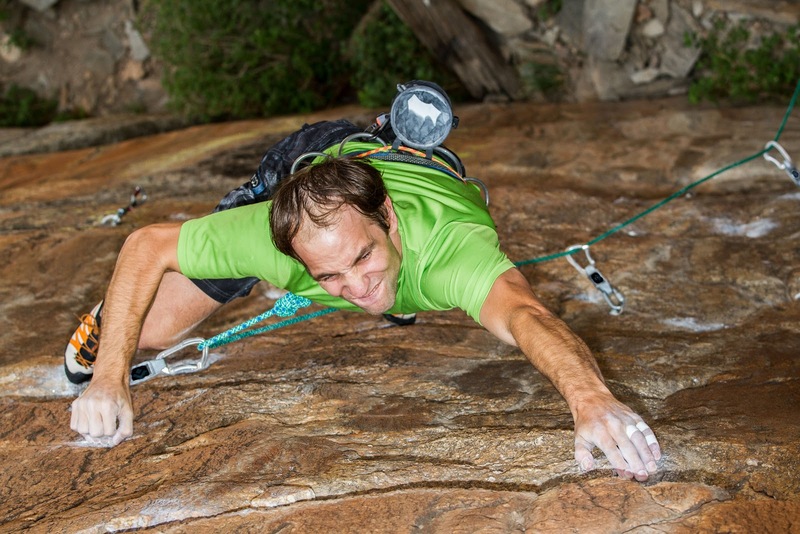 a) being aggressive in climbing – what’s the mindset, how do you turn it on? how do you get it back when you get out psyched by the rock? b) trying hard – sometimes it frickin hurts, and you need to try harder to get through. but sometimes trying too hard leads to flailing around…. These are really two different questions, so I’ll address them under separate posts. Let’s look at “trying hard” first since I have better anecdotes for that topic. Generally speaking, its a good idea to try hard, but what does that really mean? Many years ago my brother Mike had a chance to spend some time with Tommy Caldwell, so Mike asked him what he does to train for climbing, in hopes that they would discuss proper set lengths, number of repetitions, etc. Tommy’s response was, “just try really hard, all the time”. End of discussion. I’ve always thought this was interesting advice to give to a total stranger and it brings to mind a classic legend. 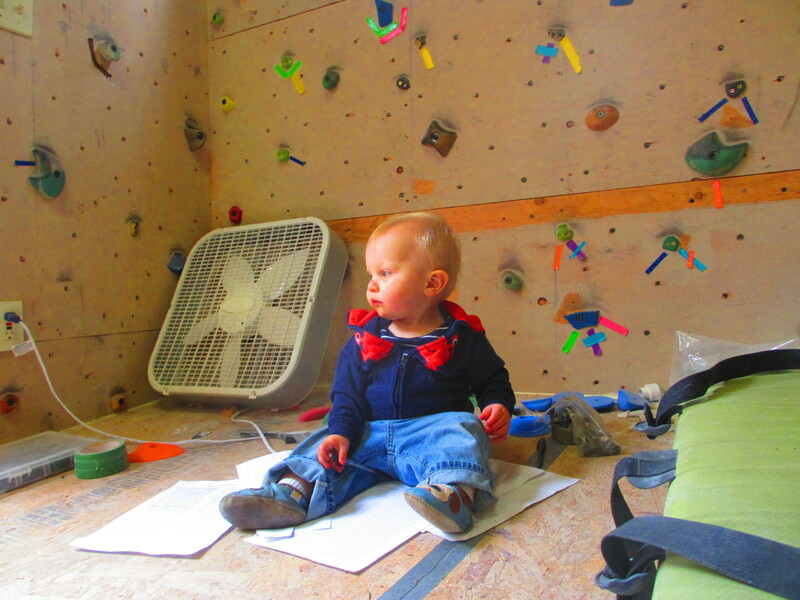 An aspiring climber hired a local wunderkind to “coach” him. The coaching session consisted of aforementioned wunderkind yelling “pull harder” throughout the session, right up to the point of catastrophic tendon rupture in the client. Sometimes trying hard can have negative consequences. This flapper took my entire finger pad off after an ill-advised dyno. 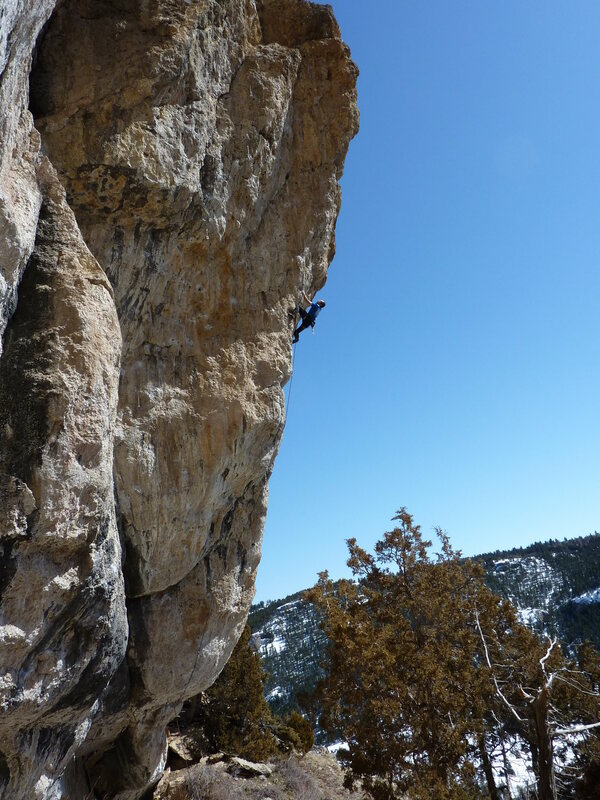 I’ve climbed all over with all kinds of different people, and I’ve observed a lot of people trying very hard at the crag, at all different grades. In my expereince, lack of effort is rarely the limiting factor in those who are well motivated (and there are plenty such climbers). In fact, I’ve observed many climbers trying too hard on occasion. That is, beating their heads against a brick wall with no potential positive outcome. Climbing until their fingers are bleeding, thus forcing additional rest days that otherwise wouldn’t have been necessary. Taking huge whippers or dynoing repeatedly for blind holds, risking severe injury or bloody flappers, either of which could be avoided by simply hauling up a stick clip. Or simply “flailing around” as Tom suggested. One of my favorite expressions is “smarter, not harder”. One thing I like about this philosophy is that it emphasizes the long view over that which is obvious and immediate. 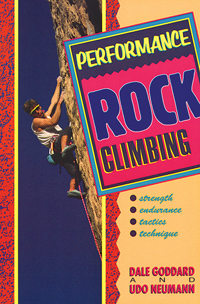 Performance rock climbing is all about finding the easiest way to do that which is inherently difficult. Advice to the effect of “Try Hard” is often misinterpreted to mean, ‘squeeze as hard as possible or dyno wildly as you scream like Sharma WHILE YOU ARE CLIMBING’. However, most of the time, it turns out that squeezing harder is not the answer. 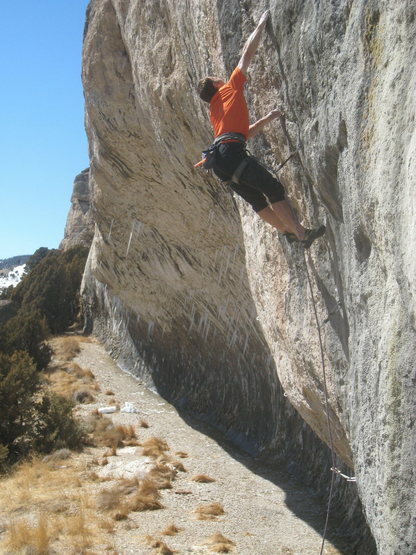 Rather, discovering a new body position, distributing weight perfectly between fingers and toes, rehearsing the accuracy and timing of dynamic movements, pacing the effort correctly–these are generally the keys to overcoming a challenging route. Rather than trying hard to do a move that requires 100% of your crimping power, try hard to find a body position that allows you to do the same move with 80% exertion! Furthermore, those that try hard only when they’re literally on the rock are missing out on countless opportunities to improve their climbing. Try hard to schedule adequate rest, stick to a healthy diet, get enough quality sleep. Try hard to wake up on time so that you can get to your project when the conditions are ideal. Even in the unlikely event it does come down to a simple matter of brawn, try hard to use your brain to develop an effective training strategy to develop the needed horsepower, as opposed to simply squeezing until your knuckles explode. The decision to use your brain is not an exemption from giving 110% come gametime. Trying really hard on Tommy’s masterpiece, ‘Grand Ol’ Opry’. Photo Matthew Oscadal. Rather than simply, “try really hard, all the time”, how about, “try the appropriate amount, all the time” (really rolls of the tongue, doesn’t it?). Sometimes, maximum force is required to get the job done, the gear is good, and your body is prepared to handle the stress that maximum force will produce. In that case, by all means, go for it! On the other hand, often caution is the better part of valor. Many times it makes sense to take it easy, save some energy (and some skin) for the next burn, or next climbing day. So how do you know when its time to give it one last all out effort, and when its time to throw in the towel? Experience, which of course, comes from bad judgement, or by observing and listening to others. Dose your efforts with a preference for quality over quantity. Listen to your body; if you’re too tired to give a quality effort, save whatever you have left for tomorrow. Don’t climb frustrated, which is a sure path to regret. When you find yourself facing a tweaky crux move that presents the risk of several months of injury, consider whether it really makes sense to “try really hard”. Maybe there is another route just as challenging but not so tweaky (or, if you have your heart set on it, hit the hangboard for a few seasons and come back when you are truly ready, or limit yourself to a pre-determined number of tries per day on the tweaky move). Say “take” during a too-hard warmup to avoid a flash pump that might ruin the entire climbing day. Take a break to tape up before hucking for that jug yet again, thus avoiding a handful of bloody flappers. Rest when rest is called for. Take a moment to consider new beta before trying the same move the same way for the tenth straight time. Don’t feel compelled to perform for the gallery. When you are on redpoint (or onsight), on a meaningful climb, that is the time to go for it. If you’re already in dogging mode, don’t be a hero. Use that seemingly useless blob of ballast above your shoulders to do what makes sense in the long run. “ARC” is short for Aerobic Restoration & Capillarity training. 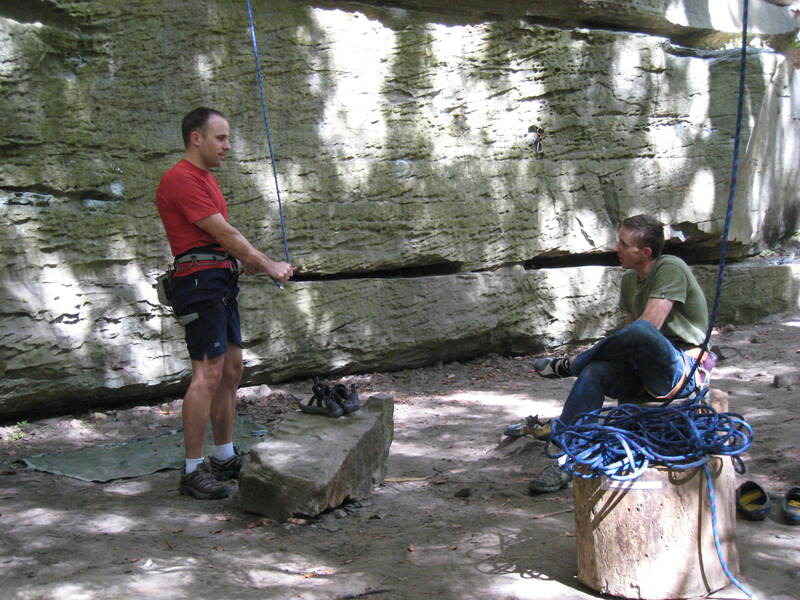 This training method was first described in the legendary Performance Rock Climbing. If you are unfamiliar with ARC training, you can get the rundown here. Many climbing periodization plans call for massive amounts of this training; as much as 90+ minutes per workout, with several workouts per week for several weeks. Considering the long, repetitive sessions coupled with relatively low intensity, its pretty much certain these workouts will become stale sooner or later. There are some things you can do to alleviate this problem. First and foremost, evaluate how much ARC training is really appropriate for you. Some plans call for six straight weeks of exclusive ARC training, some call for none. My recommendation is that beginning climbers should do the most ARC training, perhaps as much as six weeks per training cycle (although I never did more than four weeks when I started training as a 5.11 climber). As you progress as a climber, you can gradually reduce the length of your ARC phase, assuming your technique continues to develop at a pace at least equal with that of any strength gains you experience. If technique is always your limiting factor, continue to emphasize ARC workouts. 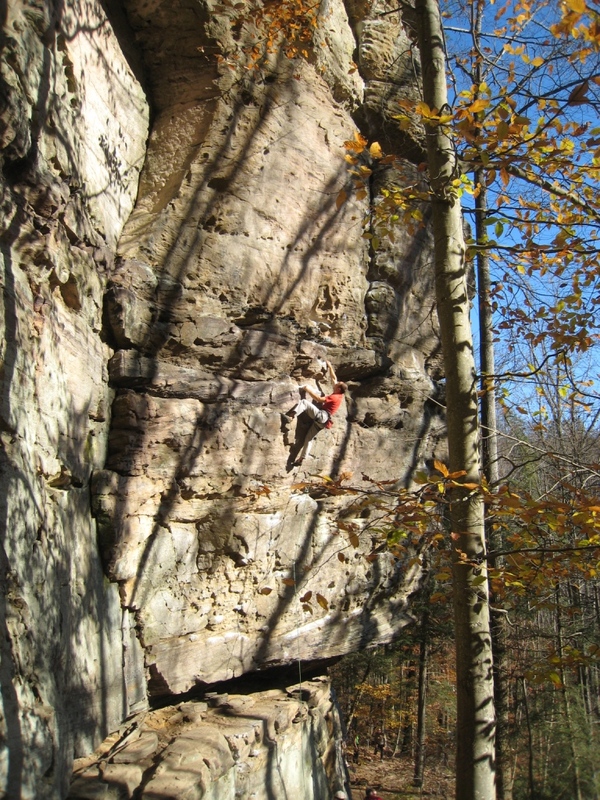 Even advanced climbers with great technique can benefit from longer ARC phases if they are training for ultra-endurance-oriented climbs (like those at the Red River Gorge, for example) . At this point in my career, my ARC phase is never more than 6 days, and some seasons I don’t ARC at all. That said, a paltry three ARC sessions can be enough to bore me out of my mind. -If you have route-setting privileges, create pre-set traverses, (or vertical routes/treadwall routes). At first simply climb these routes, but then repeat them (over the course of a single session, and/or progressively throughout the phase) gradually eliminating holds (trying to do the traverse in the fewest possible number of moves). Look for unlikey rest stance and practice awkward or strenuous shakes. -Practice awkward rest positions. Try to find spots where you can just barely get a rest or “unlikely” rest positions (big stems, underclings, etc). In particular try to find rests on steep terrain. If you have a goal route in mind, and you know what the rest stance are like, attempt to replicate them and practice the positions (they should get easier over time). On less steep terrain practice resting on insecure, slippery feet. Stances like these tend to encourage over-gripping, so focus on remaining relaxed. Learn exactly how much weight you can put on your feet, using the bare minimum of hand strength. -Try “Fartlek” style workouts. This Swedish running workout involves alternating periods of higher and lower intensity. For example, set a time interval, say 5 or 10 minutes, within the 30 minute session, to climb on smaller holds, or steeper terrain than you could normally sustain during the ARC set. Try to increase your focus during the hard interval. When the higher intensity interval is completed, follow that up with an equal length interval of easier climbing where you can relax, let your mind wander, or work on technique with easier moves. -ARC outside. 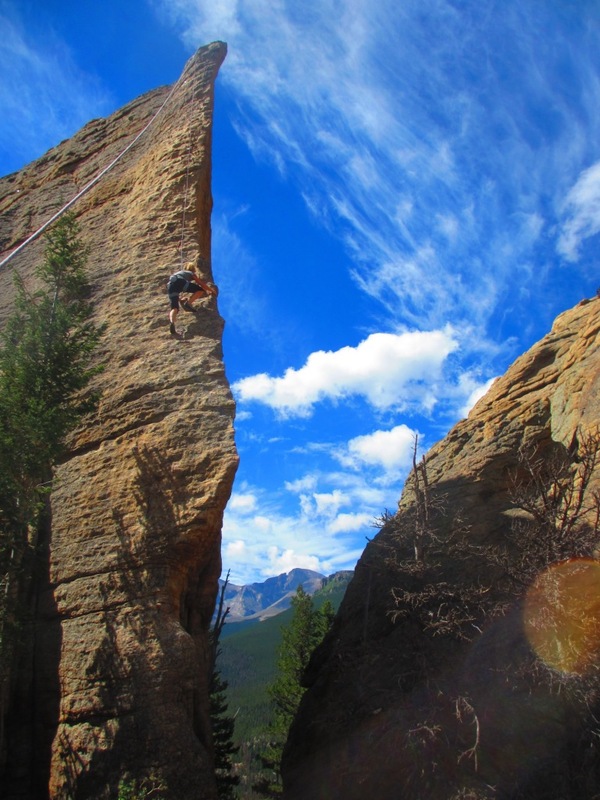 The trick is to find a crag with the right type of routes. Stay away from slabs, dihedrals or other routes that allow you to stand on your feet the whole time. You want routes that require you to hang from your arms but aren’t overly pumpy. If the routes have easy rests, limit your time at these rests or avoid them entirely. If you have a willing parnter take turns climbing 2-3 routes in a row before switching belay/climbing roles in order to get your “set” time as high as possible. Ideally you would have enough draws, etc that you could just lower & immediately move to the next route without removing your shoes or resting between routes. Remember this is training, not play time; continue to hone your technique during these sessions. As you add outdoor sessions, continue to get atleast one indoor session per week. While outside sessions can be better for training technique, indoor sessions are usually better for training local endurance. Q&A #3: When Should I Start Training for Climbing? This question comes up quite a bit, along with the more specific, ‘when should I start hangboarding?’ Obviously this is a personal decision, and for many climbers (perhaps the vast majority) the answer is ‘never’. For that reason it makes sense to start with the question, why train at all? A few reasons can be found here. I’m going to assume that if you are reading this blog you have at least some interest in training (or you are cyber-stalking me, in which case I live in Iowa with my many shotguns and doberman pinschers). Gratuitous climbing shot: Kate cruising Edge of Time with The Diamond looming behind. I used to always tell people that a reasonably fit person ought to be able to work up to redpointing 5.12a sport routes just by focusing on movement skills and climbing regularly (2-3 times per week), and therefore, that was about the point one might consider following a structured training program. In retrospect, I think I said that simply because that is what I did. With hindsight, I think I would have been better off as a performance rock climber had I started training earlier. The two years or so I spent getting from 5.11- to 5.12- included three major finger injuries and lots of frustration. I’m confident I could have avoided those injuries, and likely progressed further, faster, had I followed a structured training program. 1) Developing proper movement skills is the top priority for beginners, and time/energy spent training will take away from movement training. 2) If you get too strong, too early, you will develop bad movement habits that will plague your entire career (i.e. you will campus every move, never use your feet; Chris Sharma has this “problem”). 3) The delicate connective tissues in your hands and lower arms will not be able to handle the stress of training, thus resulting in injury. Hopefully by this point I’ve been on my soapbox long enough that we can just eliminate #3 with minimal discussion. Training stress is simply a function of volume (itself a function of intensity and duration) and recovery time, both of which are FAR easier to control in a structured training program than in random climbing activities. When done properly training reduces injury risk. That said, it would be wise for children & adolescents to use caution until we learn more about how their fingers respond to such activities. Its never too early…Logan records his performance between campus sets. Number 2 is a simple matter of self-discipline. Anyone Jedi-enough to follow a structured training program ought to be able to focus their attention on acquiring and practicing movement skills with sufficient frequency to keep pace with the relatively slow rate at which muscles and connective tissue adapt to training stress. Its simply a matter of paying attention and continuing to work on it. A good training program will incorporate specific phases and activities focused on movement training, resulting in far more time spent on such activities compared to the typical ‘random climbing activity’ control group. Developing finger strength is a life-long pursuit. Even the best finger-strength program on the planet will not have you ripping holds off the wall overnight. You will have several years (perhaps decades) to perfect your outside flag before you will surpass Chris Sharma’s crimping power. 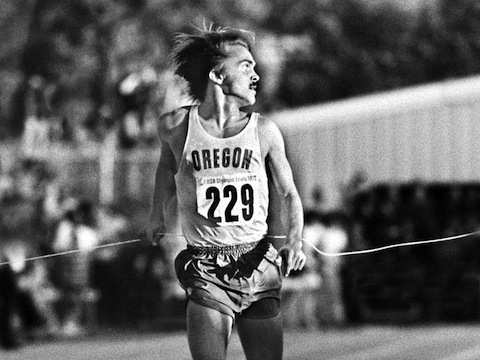 If you get too strong, too fast, you might end up like this guy…wouldn’t want that. Number one is probably the most valid, but as I suggest above, there is more than enough time to do both, in my opinion. You can only spend so much time practicing drop knees and back steps before your mind goes numb. Most movement training is not especially strenuous by design, leaving some gas left in the tank for other training activities. If a typical beginner were to climb every third day in a climbing gym, they could spend the first 30-60 minutes doing movement drills, which double as a warmup, and the next 30-60 minutes on sport-specific training. That is plenty of time to acquire new skills and new strength, endurance and power in significantly less time than it takes for a single day of unfocused cragging. Which brings me to the bottom line. If you can maintain a relaxed attitude, have fun with your ropemates and continue to progress steadily through the grades, why not just keep at it? This is a completely valid approach and it works to some extent for many climbers. Once you get to the point that you have stopped progressing at a rate that satisfies you, start training. This is why I describe the decision as personal. Each person needs to decide how to weigh the fun & casual aspects of climbing against the performance aspects. What rate of progression is satifying to you? Looking back at my own experience, its easy to say that I regret not taking things more seriously when I was younger. But at the same time I had some of the most rewarding experiences of my career during those chaotic years. I would like to think its possible to have balance between the two but to be honest, that is something I really struggle to maintain. In conclusion, from a purely physical perspective, I don’t buy into any of the standard reasons given to delay training. If you’re psyched to start a structured training program, including hangboarding or other sport-specific finger strength training, I don’t see any reason to wait.